Our What’s On board outside the Visitor Centre will let you know what our team’s up to, what you can take part in, and who you might encounter in the forest on the day of your visit. 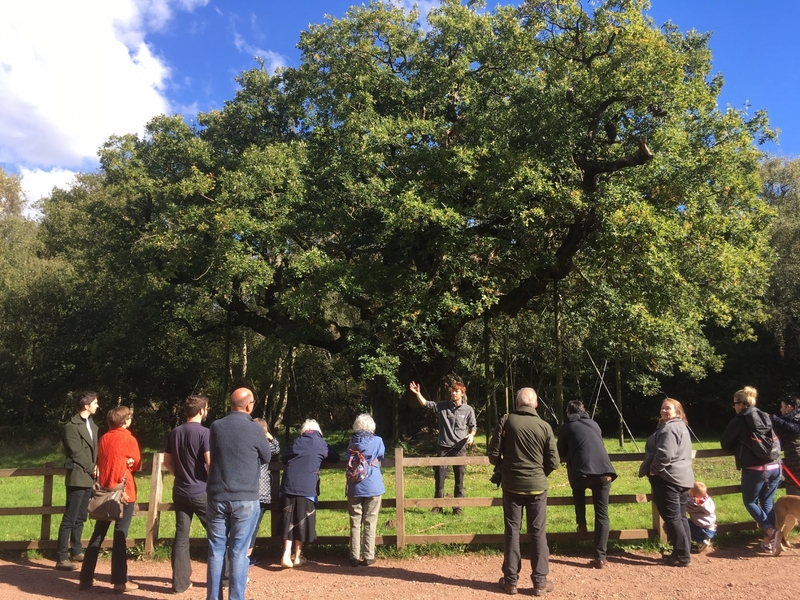 During peak season, there are regularly free talks held under the Major Oak, telling the story of this famous ancient giant. 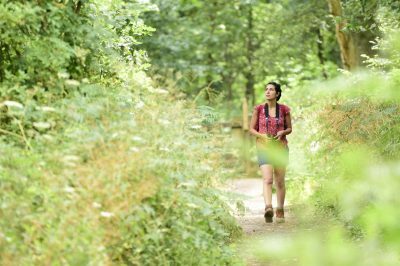 Our friendly team also often lead guided walks at this time and will help you discover the history, wildlife and stories of this fabled forest. 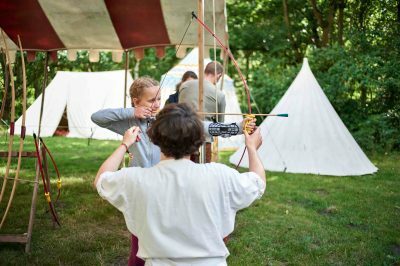 Ever wanted to know how to make a bow and arrow? Or how Robin Hood would have survived in Sherwood? You might meet also meet one of our costumed characters out in the , who are on hand in peak season to help you delve into the story of the forest’s past and its legendary characters. Say hello, and feel free to ask questions or for pictures! 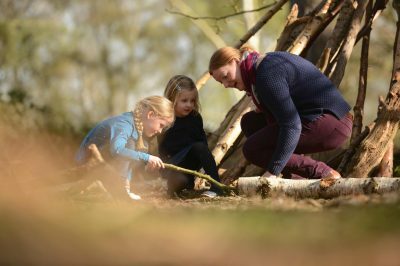 Our guides are part of our brilliant team of volunteers, giving their free time to share the stories & legends of Sherwood Forest. We’re always looking to grow our volunteer team, and we have a wide range of roles available! Take a look at our volunteering pages to find the role that’s right for you. Our timetable of activities changes daily, and varies around peak times of the year, such as school holidays. To see what’s on, ask one of our team on arrival or check the boards at the visitor centre. If there’s something you’re particularly interested in, make sure to ring ahead and check. Guided walks can also be arranged in advance for group bookings, which you can read about here. For events, activities and guided walks with set times and dates, take a look at our events page.